FrostWire is an application available for multiple platforms which is able to find content shared by others and to download torrents. The program allows to search content and download it, organize downloaded files into categories (audio, video, images, programs, books etc.). 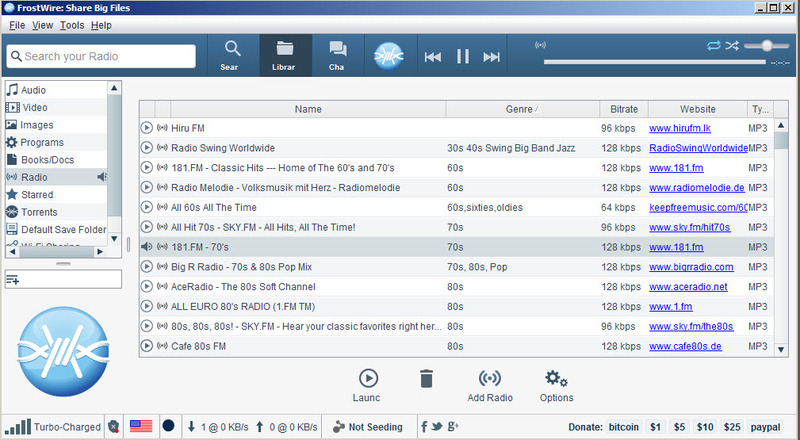 It includes a list with online radio stations and you can start listening music with one click. 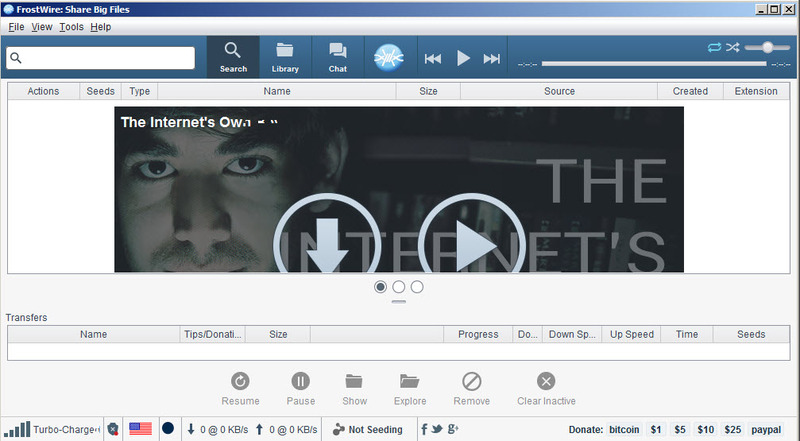 You can share your own files in the FrostWire's network. Pro: The application allows to search content by keyword, also includes a list with radio stations that actually works. Cons: The user interface is a little overwhelming. FrostWire is available as free download for Windows 32-bit and 64-bit.